Room reservations are completely non-refundable after December 1! Rooms are assessed a 16% value added tax (VAT) and a 3% lodging tax. The 16% VAT is refundable upon check out if instructions for the exemption are followed. Instructions will be communicated by group email and by the hotel at check in. Dr. Fraser helped launch the new field of microbial genomics and revolutionized the way microbiology has been studied. Until 2007, she was President and Director of The Institute for Genomic Research (TIGR) in Rockville, MD, and led the teams that sequenced the genomes of several microbial organisms, including important human and animal pathogens. Her current research is focused on characterization of the human gut microbiome in health and disease. Her work on the Amerithrax investigation led to the identification of four genetic mutations in the anthrax spores that allowed the FBI to trace the material back to its original source. She is one of the world’s experts in microbial forensics and the growing concern about dual uses – research that can provide knowledge and technologies that could be misapplied. Dr. Fraser has authored more than 300 publications, edited three books, and served on the editorial boards of nine scientific journals. Between 1997 and 2008, she was the most highly cited investigator in the field of microbiology. Her list of awards include: Fellow, AAAS, American Academy of Microbiology; Elected Member, Institute of Medicine (IOM); E.O. Lawrence Award, U.S. Dept. of Energy, the highest honor bestowed on research scientists by the Department of Energy; Promega Biotechnology Research Award, American Society for Microbiology; Maryland Women’s Hall of Fame; Influential Maryland Award; Drexel College of Medicine Prize in Infectious Diseases; and Thomson Reuter’s The World’s Most Influential Scientific Minds, 2014. She has served on many advisory panels for all of the major Federal funding agencies, the National Research Council, the Department of Defense, and the intelligence community. In addition, she has contributed her time as a Board member for universities, research institutes, and other non-profit groups because of her commitment to the education of our next generation of scientists. 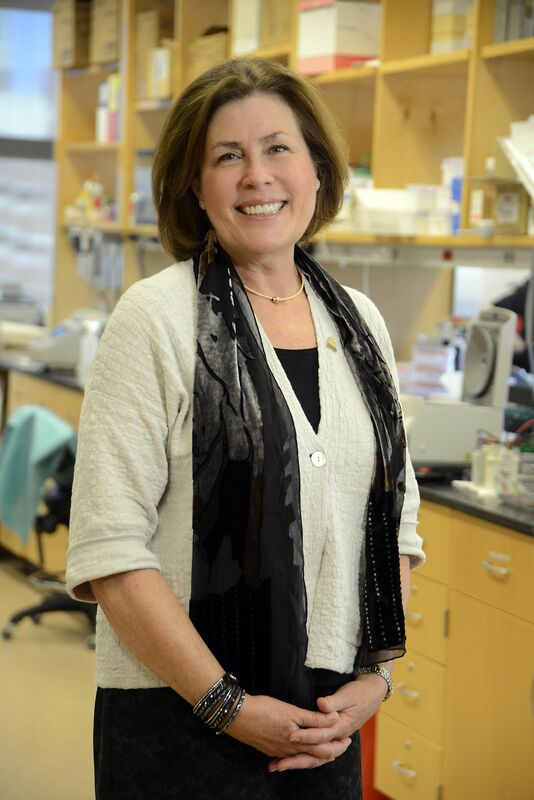 Dr. Ribbeck is the Principal Investigator of the MIT BIOGEL Laboratory which focuses on basic mechanisms by which mucus barriers exclude or allow passage of different molecules and pathogens and the mechanisms pathogens have evolved to penetrate mucus barriers. She hopes to provide the foundation for a theoretical framework that captures general principles governing selectivity in mucus, and likely other biological hydrogels such as the extracellular matrix, and bacterial biofilms. Her work may also be the basis for the reconstitution of synthetic gels that mimic the basic selective properties of biological gels..
Dr. Ribbeck obtained her Bachelor’s degree and her PhD in Biology from the University of Heidelberg, Germany. She continued her postdoctoral research at the European Molecular Biology Laboratory, Heidelberg, Germany, and the Department of Systems Biology, Harvard Medical School. 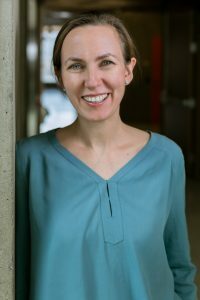 She then established her independent research group as a Bauer Fellow at the FAS (Faculty of Arts and Sciences) Center for Systems Biology, Harvard University in 2007, and joined the Department of Biological Engineering at MIT in 2010. Dr. Ribbeck is the recipient of the 2015-2016 Harold E. Edgerton Faculty Achievement Award, the 2014 Popular Science Brilliant Ten Award, and the 2013 John Kendrew Young Scientist Award. These principles have remained constant and virtually all participants who have been invited to this meeting, including outside speakers, remark on its uniqueness, because of both its small size and intimate nature, permitting interchange by senior investigators in a way that is unique and unparalleled. Group members are able to interact in a congenial atmosphere which helps minimize barriers to information exchange. This informal atmosphere encourages discussions during the day and well into the evenings and is responsible for many, many scientific collaborations over the years, not to mention lasting friendships. Another notable quality of the conference is the distinguished outside speakers this meeting is able to attract. Speakers have included Nobel Prize awardees, a Shaw Prize winner (the Asian equivalent of the Nobel), and several members of the National Academy of Science during the past 10 years. Because of the “personality” of this meeting, several of the outside speakers have chosen to continue to attend the conference in future years as attendees themselves even though the oral cavity is not the focus of their research. The Annual Meeting of the Oral Immunology/Microbiology Research Group (OIMRG) is also known as The Mark Wilson Conference, named in honor of its founder, Mark Wilson, PhD, 1950–2000. In keeping with Mark’s original concept, the meeting is held over a long weekend during late January or early February and consists of three scientific sessions, each focusing on a distinct area of oral immunology and microbiology. Sessions begin with a keynote address by an invited speaker. Small group breakout sessions for continuing scientific discussions from the morning are held in the afternoons. The meeting starts on Friday evening with a reception, breakfast is served prior to each session, and a dinner banquet is held on Sunday evening. All group meals/special events (reception, three breakfasts, and dinner banquet) are included in the registration fee and to further maintain Mark’s original meeting concept, registered participants are welcome to bring one companion to each meal. Additional companions are welcome at an additional charge, which must be paid at the time of registration.